The OI Human Empowerment And Resiliency Training (HEARTraining®) is our premium, leading-edge experience of personal and professional development. HEARTraining is an intermediate level continuing education certificate program consisting of three training years with six, 6-day retreats and ongoing self-learning in the state-of-the-art OI Virtual Classroom. 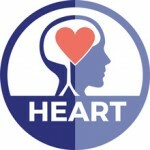 Upon completion of all training requirements, HEARTraining Graduates will receive an OI HEART Certificate. For more details and scientific references, please visit the HEARTraining Program, Curriculum and Learning Objectives pages. Did you miss the first two retreats? Catch up by Video! 35.5 CE Credits are pending for each retreat for the following professions: Psychologists, Marriage & Family Therapists, Professional Counselors, Social Workers, and Nurses. It is the student’s responsibility to check with their individual state boards to verify CE requirements for their state. For detailed information visit the CE Credits page. All CE credits are subject to change without prior notice. San Diego HEARTraining students will complete all 3 training years in the same location. Who could Benefit from the HEARTraining? If you are a psychologist, psychiatrist, marriage & family therapist, social worker, professional counselor, nurse, bodyworker, energy healer, art therapist, movement therapist, coach, trainer or educator, clergy, mindfulness coach, spiritual teacher, or an individual seeking personal growth through professional development, this training may be of great benefit to you, both personally and professionally. Visit the Requirements page for details. All fees are subject to change without prior notice. Visit the Tuition page for more details. Tuition does not include lodging or commuter fees. Cancellations and refunds: A complete Sales, Cancellation, Refund and Transfer Policy can be found on the Policy page. We have reserved a room block for participants of the San Diego HEARTraining at a hotel near Marina Village. Please email your local coordinator for details. We will make every effort to work with special needs and see that everyone’s experience is the best possible. We look forward to sharing this experience with you. The Commuter option includes lunch, two (2) dinners, snacks, & facilities fee. All meal plan purchases need to be made 21 days before your retreat starts. After 21 days a $100 late fee will be added. Our training facility is handicap accessible. If you need special accommodations please contact your training coordinator. Catering will be provided by various restaurants throughout San Diego. We are not able to offer different or individualized meal plans; however, we may be able to accommodate some special dietary needs if you let us know at least 10 days prior to the start of the training module. Please contact your local organizer if you have special dietary needs. Print | Download mentor list. This training will be held in retreat format; we will enjoy most meals together onsite.